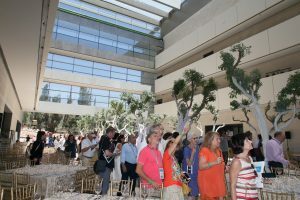 The Edmond & Lily Safra Center’s New Home! 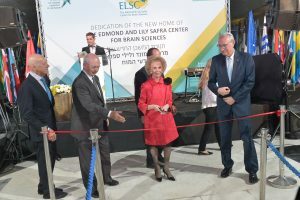 The Hebrew University of Jerusalem dedicated the new home of The Edmond and Lily Safra Center for Brain Sciences (ELSC) in Jerusalem on June 13, 2017. 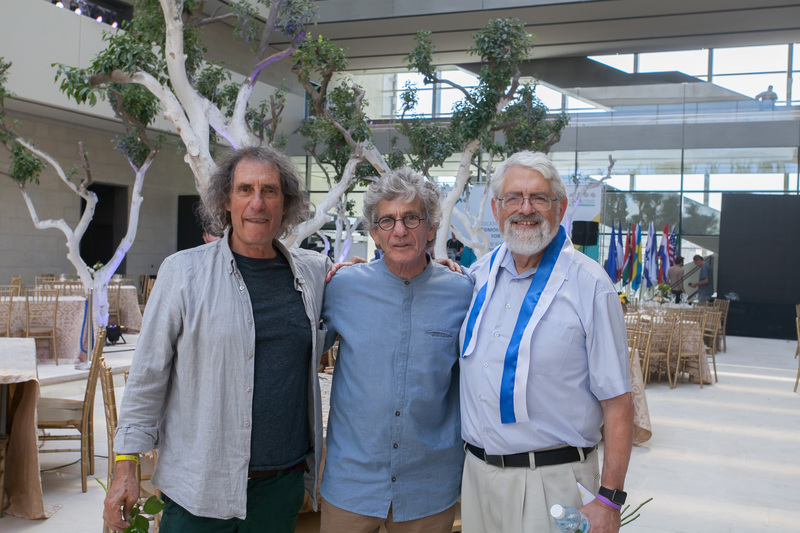 More than 400 people from Israel and abroad attended the gala celebration and naming ceremony of the largest neuroscience center in Israel and one of the most ambitious in the world. 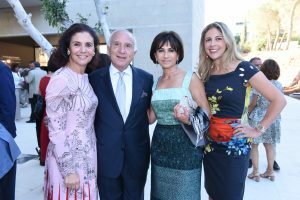 Attended by Mrs. Lily Safra, a leading supporter of neuroscience research projects around the world, and Chairwoman of the Edmond J. Safra Foundation, which pledged a lead donation of $50 Million of the Center’s $150 Million initial budget. 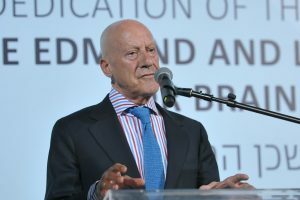 Lord Norman Foster, the award-winning Founder and Executive Chairman of the British architectural firm Foster + Partners, which designed the new Center, also participated in the gala event. 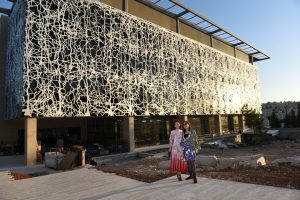 The 14,500 square-meter Center will include state-of-the-art labs, classrooms, an innovative imaging center, and areas for biological and pre-clinical research. 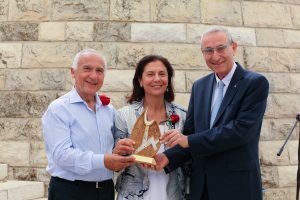 Significant emphasis was placed on constructing an environmentally friendly building with a focus on conserving energy and reducing carbon dioxide emissions. Computational Neuroscience, uses mathematical tools to digitally reconstruct a whole piece of cortical circuits using powerful computers. Using these models his team recently discovered rich structures or connectivity previously unknown. These “hidden” circuit structures pose constraints on how sensory information is processed in the neocortex. 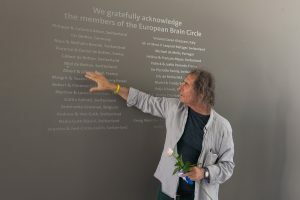 Prof. Merav Ahissar, the Joseph H. and Belle Braun Professor of Psychology, with longstanding interest in studying dyslexia, recently found that a central problem for dyslexics is forming prediction, a fundamental aspect of brain computing that governs our behaviors. 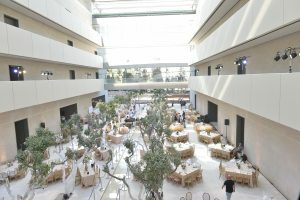 The Inauguration was a great success with events spanning over 4 days. Some of the events showcased ELSC’s outstanding achievements over the years. 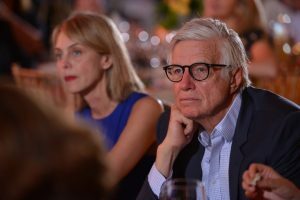 Several events were dedicated to paying tribute to the generous donors who have helped build ELSC into the world-class institution it has become.